· • Deluxe assortment includes your favorites . . .
they're good wholesome food that youngsters and grownups can enjoy. 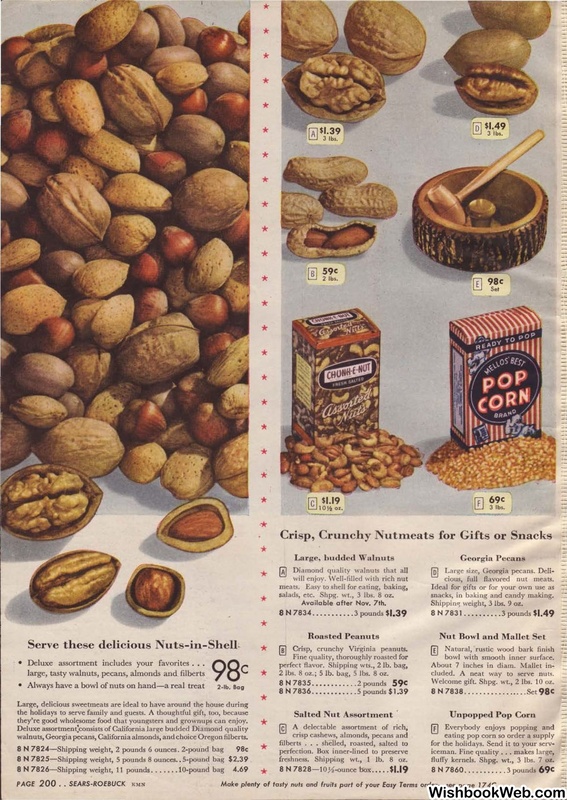 walnuts, Georgia pecans, California almonds, and choice Oregon filberts. salads, etc. Shpg. wt., 3 lbs. 8 oz. 2 lbs. 8 oz. ; 5 lb. bag, 5 lbs. 8 oz. freshness. Shipping wt., 1 lb. 8 oz. cious> full flavored nut meats. -"
snacks, in baking and candy making. bowl with smooth inner surface. Welcome gift. Shpg. wt., 2 lbs. 10 oz. fluffy kernels. Shpg. wt., 3 lbs. 7 oz.